Keep up with all the latest free-agent signing in the NFL. No, Jimmy Garoppolo hasn’t been traded, no matter what his Instagram page says. But a person close to Garoppolo told USA TODAY Sports they’re unaware of any trade talks and it appears to be a prank or hack. Nice timing, whatever it is. The Cleveland Browns’ maneuvering at the start of free agency Thursday – including a surprise trade with the Houston Texans to eat quarterback Brock Osweiler’s contract and add an extra second-round pick in 2018 – renewed speculation they’re gearing up for a run at Tom Brady’s backup. 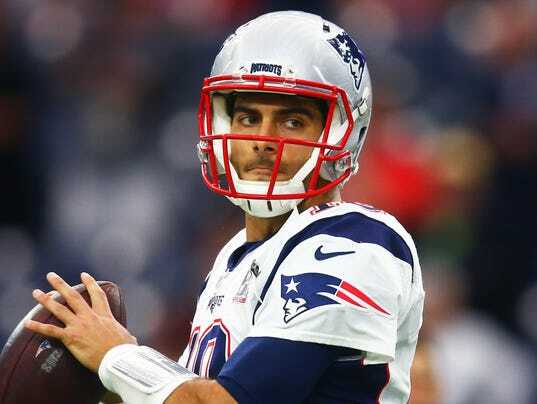 But the Patriots have plenty of reasons to be reluctant to trade Garoppolo.